Netflix’s latest television experiment, Black Mirror: Bandersnatch, has several possible endings to the story. Some quick, others more detailed. But one of them stands out, giving us a poetic story that—unlike all the others in the film—was only made possible through its interactivity. It may not be the only way the story ends, but it is the only way it ends correctly. I’ve spent hours watching Charlie Brooker’s Black Mirror: Bandersnatch over the past few days, to the point where I’m starting to wonder if I’ve lost the ability to control my own life (I haven’t, at least for the time being). While some viewers have not been big fans of Bandersnatch, including our colleagues at Kotaku, I personally enjoyed it—especially as a fan of visual novels. It was fascinating forking through the different paths and seeing where they ended up. Directed by Black Mirror alum David Slade and starring Fionn Whitehead (Dunkirk), Black Mirror: Bandersnatch is an interactive one-off special about a young man named Stefan (Whitehead) who’s turning his favourite Choose Your Own Adventure-style fantasy novel into a video game. Much like Alice in Alice in Wonderland (where the name Bandersnatch originated), Stefan falls deeper and deeper down the rabbit hole, to the point where he starts to question his ability to control his own destiny. Which, as we well know, he can’t. I will admit that sometimes I got bogged down in the decision-making, trying to find all the possible storylines, to the point where the adventure felt like it was more important than the story itself. With one notable exception. I’m going to call it the “White Rabbit” thread. Stefan (Fionn Whitehead) begins his journey. The story is pretty standard for the first several minutes. Stefan talks with his father (Craig Parkinson) about Bandersnatch, chooses some cereal, rides a bus. After Stefan successfully pitches his video game (assuming you didn’t go the “accept CEO’s offer” path, which ends the story), Stefan finds himself at his therapist’s office. Dr. Haynes (Alice Lowe) wants to talk about Stefan’s mother (Fleur Keith), as the anniversary of her death is coming up. Now, Stefan can refuse to talk about his mother, but it’s important to note that this is the only time in the episode that refusing to do something is followed up with another request from one of the actors. Because she really wants Stefan to talk about it, as do we really. If Stefan finally agrees to share more about his mother, we get to see a flashback to the day she died. Stefan’s father took his stuffed rabbit doll away, and he refused to leave the house without it. This delay caused his mother to take the 8:45 train rather than the 8:30—the later train derailed and killed most of the passengers on board. It’s a tragic backstory, but I want to point out one specific detail with it: It’s the only time in the entire episode that we’re given a dialogue tree with only one option. This is significant because we’re being told that this was a decision, but one we cannot change. It’s the only choice that is not only outside of Stefan’s control, but ours as well. This is the only time we as viewers/players are given a choice that’s not actually a choice. The past is immutable. No matter how painful it is, we can’t change things. We can’t choose differently with hindsight. We all have to learn to accept that. 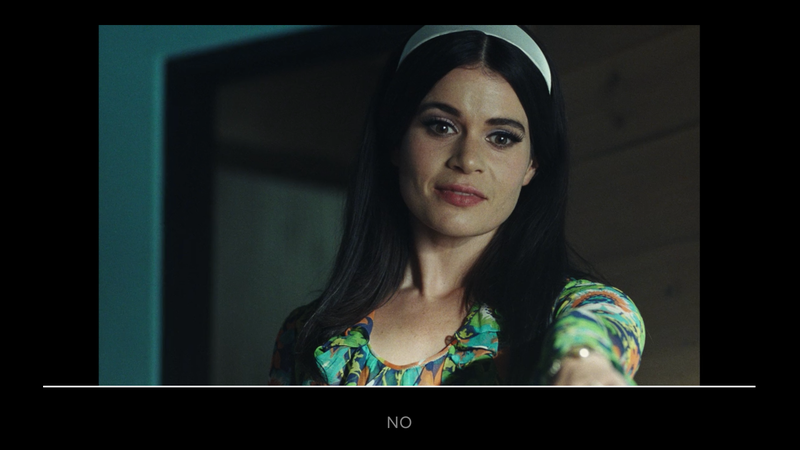 As many twists and turns as Bandersnatch has, for the most part, you can get from the beginning to most of the endings in a straight line. For example, the other “big” ending—where Stefan kills his father and chops up his body, giving him enough time to make his game a massive success—is relatively linear, so long as you have Stefan’s gaming colleague Colin (Will Poulter) kill himself after the drug trip. However, White Rabbit is an exception, as it’s impossible to finish without retracing your steps. You cannot complete it without changing the past. The moment when we can go back and change the past. 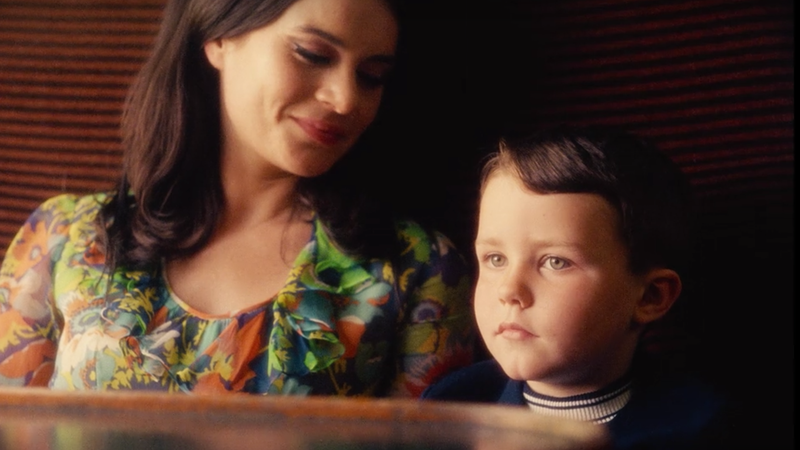 If Stefan picks up his family photograph during the “going to bed” sequence, he ends up walking through the Looking Glass (like Alice), becoming a little boy and having a vision of his father hiding the stuffed rabbit in his locked room. Stefan can’t do anything with this information after learning it, so he simply continues on with his normal adult life. However, after Stefan’s story ends, in whatever way it does during that particular journey, the option will come up to “Get Rabbit From Dad” (as shown above). This takes Stefan back to the moment when he chose the photograph or book, this time going for the “Look Door, Get Key” book. That night, he sneaks into his father’s locked office, enters “TOY” into the safe (an option that won’t be there otherwise), and we get the White Rabbit ending. Stefan becomes a little boy again, and his father—having seen the lengths Stefan went to to find his favourite toy—tells him to put the rabbit “back where it belongs,” a moment of understanding and healing between the fraught pair. The next day, his mother is again trying to get him ready to go to his grandparents’ house, only this time he’s found the rabbit under his bed. Everything seems to be going okay. Only then, we get the most heartbreaking decision of all: His mother says they’ve still been delayed. They’ll have to take the 8:45 train, and wants to know if he’s going with her. Young Stefan chooses to go with his mother, dying in the present. Stefan (and the audience) are now being given the choice he never had, with the burden of knowing it’s going to lead to his death. It’s a hard decision to make, for both Stefan and us. In that moment, it’s not about what is best for the story, it’s about what’s best for this young boy. If we say no, that part of his life is over. He’ll be an adult again, working on his video game, still traumatised by the burden of his choice. But if we say yes, he dies in his therapist’s office, on that first day when he told us about his mother. But in his mind, he’s boarded the train, as Laurie Anderson’s “O Superman” plays in the background, and he accepts his death. In love. His mother by his side. 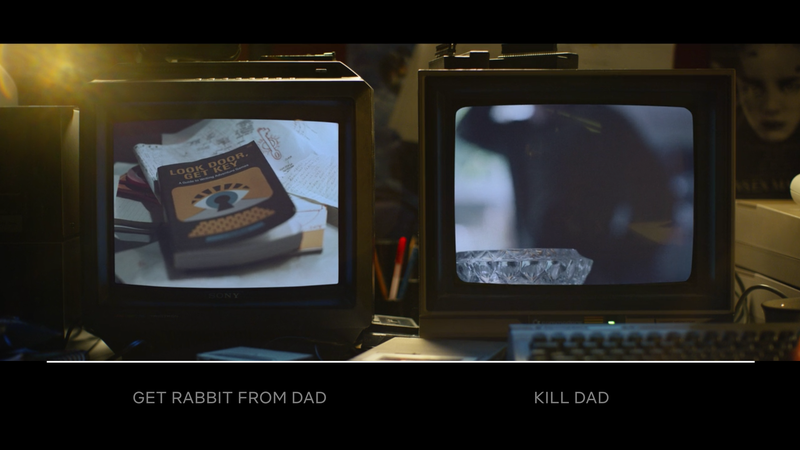 Black Mirror: Bandersnatch isn’t just a story about a guy having a mental breakdown from a weird fantasy novel. It’s about a man in mourning. Guilty over a mistake in his past, and unsure how, or if, he can ever move on from it. A man who wishes he could go back and change the past, be with his mother again, even if it costs him everything. Much like “San Junipero,” it’s an ending that may not be totally happy, but it is hopeful. The episode largely gives the impression that choice does not exist, that Stefan’s life is outside of his control, and the sooner he accepts that the more blissful he’ll be. But there is one moment when choice actually matters. White Rabbit is the only ending in the entire film where free will is celebrated instead of derided. We may still be pulling the strings in Stefan’s life, but White Rabbit forces us to think about what’s best for him, not for ourselves. It’s a story of empathy, not voyeurism. Having “No Future” isn’t always a bad thing. This ending also feels “true” because of how well it comes full circle. 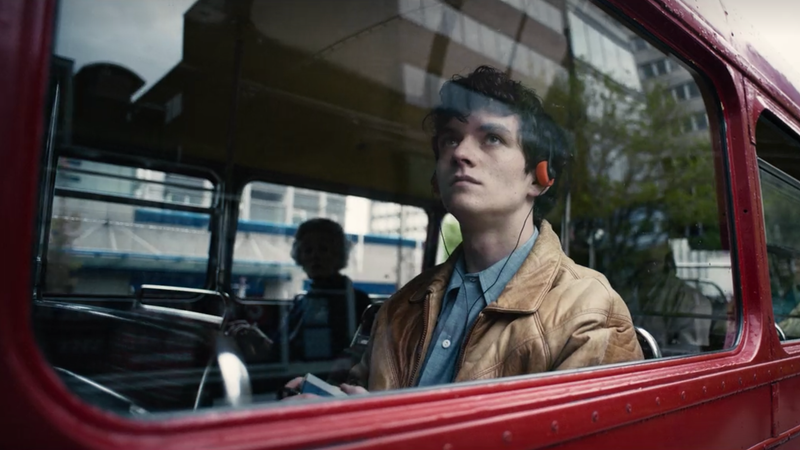 Early on in the episode, we see Stefan taking a bus to the first part of his journey, the game studio where he’s pitching Bandersnatch. 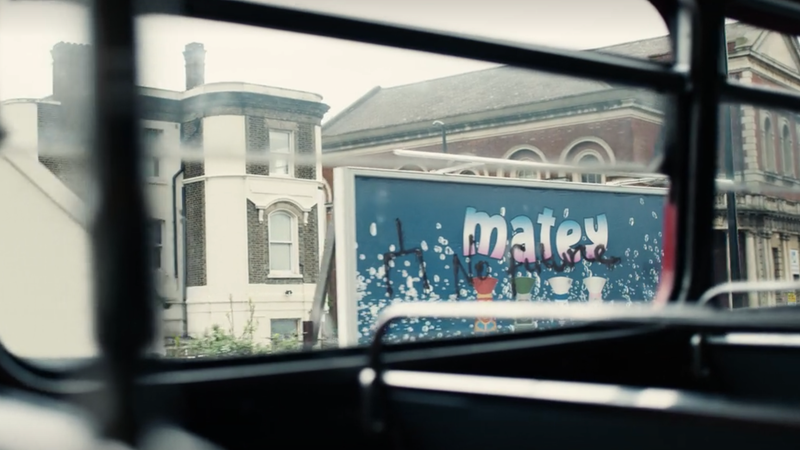 As the bus rolls on, with Stefan enjoying whatever music we picked for him, we see a nearby billboard that has graffiti showing the dialogue tree symbol (from the “White Bear” episode), along with the words “No Future.” This might seem like general foreboding, as is wont with Black Mirror, but it’s especially important for White Rabbit. It wasn’t just a billboard, it was a sign. Stefan didn’t have a future, because he was going to choose to die in the past. And it’s no coincidence that a post-credits scene for White Rabbit takes us back to that very first bus ride. Stefan takes out a tape, only this time it’s playing a series of computer beeps and tones. Its name: Bandersnatch.